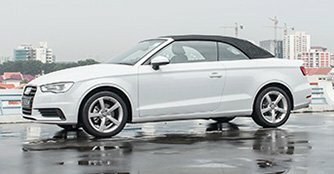 The A3 Cabriolet brings along open-top motoring with all the elegance and style of larger Audis. Compromise has been the unwritten rule for those desiring top-down driving. That said, a cabriolet is a car you want to be seen in, a lifestyle choice, an outward projection of how you want to be perceived and these are part and parcel of a cabriolet's appeal. 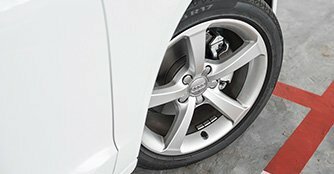 Introduced at the 2013 Frankfurt Motor Show, the Audi A3 Cabriolet completes the all new Audi A3 lineup and gives sun-seekers another premium small-car option. Interestingly, the new A3 Cabriolet that you see here is based on the platform of the A3 Sedan rather than the Sportback as in the previous model and we think Audi has pulled a masterstroke for that. While some rival drop-tops have slightly awkward, bulbous lines when the roof is closed, the A3 Cabriolet has attractive flowing lines whether the top is up or down. These lines are longer and stronger than before, with sharper edges and more attitude, enhancing the harmonious design of the A3 Cabriolet. The car follows Audi's usual single-frame grille and widespread head lights theme in front, which hunker it towards the road while the bold air intakes and bumper design emphasise its road presence. At the same time, the generous rear overhang helps to balance the front and rear while aluminium highlights around the windscreen frame and along the edge of the bodywork lead your eyes along the length of the car.